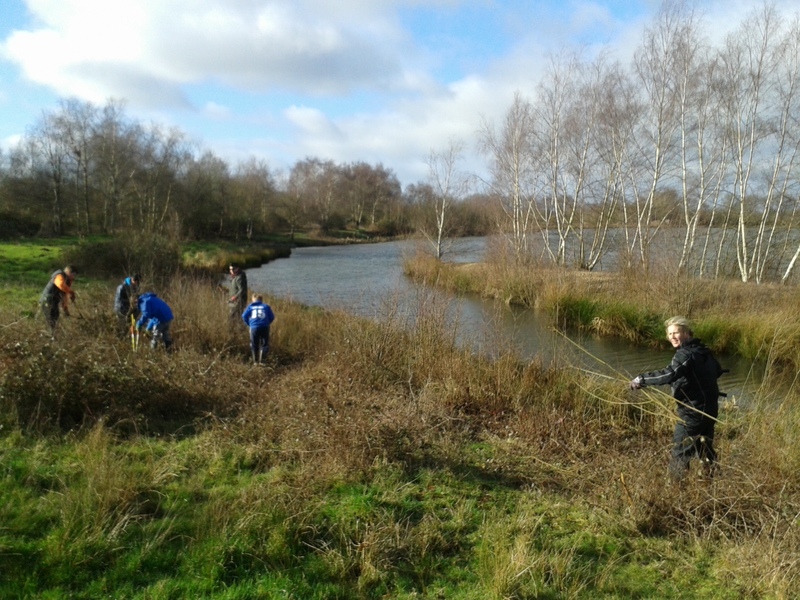 On Sunday students from the Royal Grammar School in Guilford joined us at Moor Green Lakes in Finchampstead. 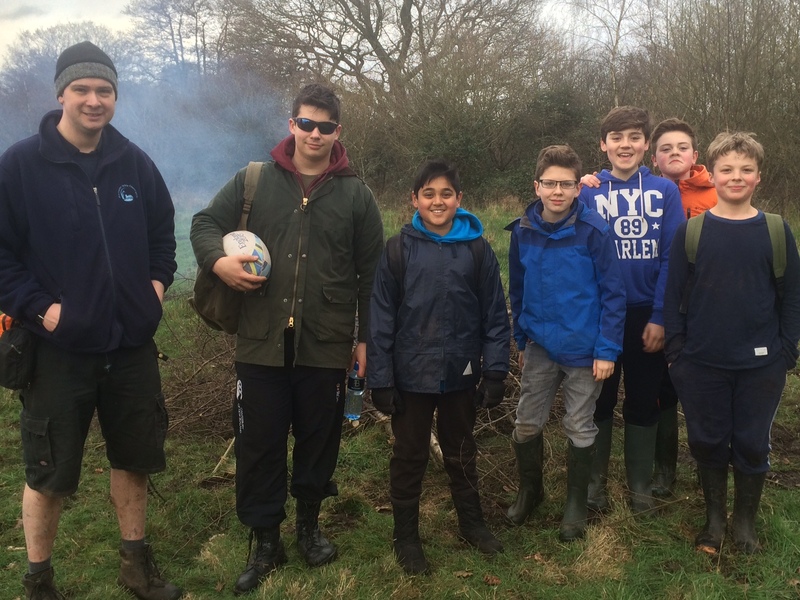 We’ve been working with Mrs Rathmell and her students for a few years now, so it was great to explore a new site. 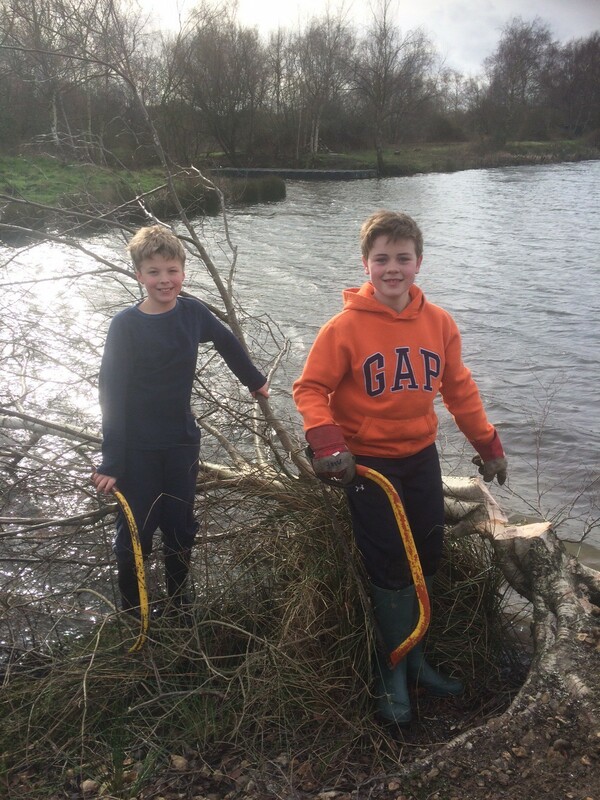 Firstly the lads cut back the lakeside scrub on the south east corner of Colebrook Lake North, to expose the gravel bank underneath. This sheltered spot is an important haven for several dragonfly species, such at the Southern Hawker found on my dragonfly survey last year. After tea break intrepid explorers Leo and Freddie cast off to cross the channel to Goose Island, towing ropes which they anchored at either end so we could pull ourselves across. On Goose Island we cut the birch scrub to expose the bare gravel for ground nesting birds, and felled a few larger birch into the water as kingfisher perches. The team worked well loading up the boat with cut brash and pulling it over the fire on the mainland. Thank you to everyone for all their hard work. 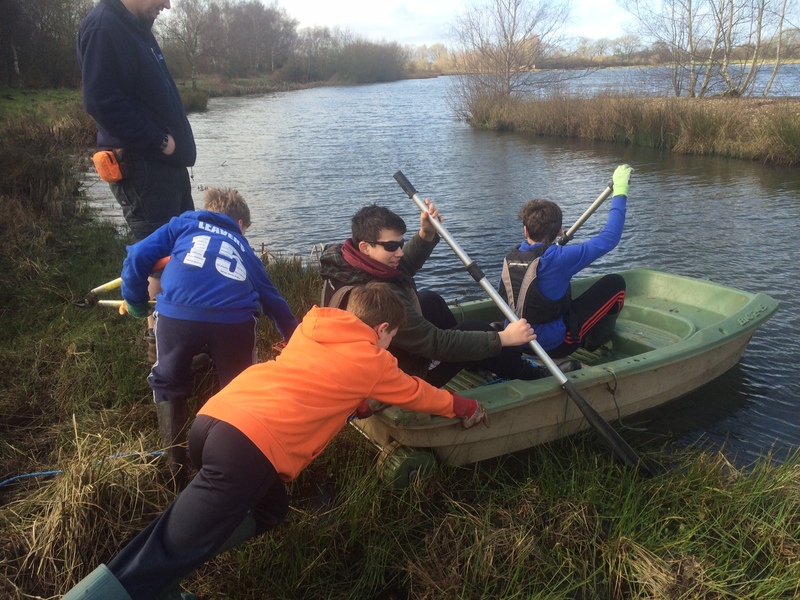 This entry was posted in Conservation, Moor Green Lakes, Volunteers, Wildlife and tagged boat, Moor Green Lakes, students, Tuesday Volunteers. Bookmark the permalink.